While your Android on PC is running, first go to its home screen. Once there, press the “SETTINGS” button. This will bring up the settings menu. Inside this menu you will find an option labeled “PRIVACY“, “SECURITY” or even “CONFIDENTIALITY” (it depends on the Android version, but the idea it conveys is clear enough). Press it and a new menu will appear. It will include the hard reset option (or it actually will be the ONLY option available in there, depending again of each Android version particulars). This option will be labeled “FACTORY RESTORE” (or similar, same idea). Yo tap over “FACTORY RESTORE” and a final screen will appear, asking you to confirm that you want to perform a Hard Reset. It may include the option to also format the available sdcard -if there is one-. If such option does not exists, never mind. If such option is there, and you have no sdcard on your system, it may prove safe to click it off. You will be able to perform a hard reset by following these simple steps, not only on your Android on PC, but on any Android based phone and tablet. 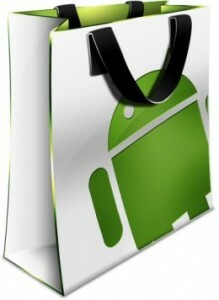 You may install Android on PC, provided that your computer, notebook or netbook is compatible with the compiled version of Android for PC processors (x86). 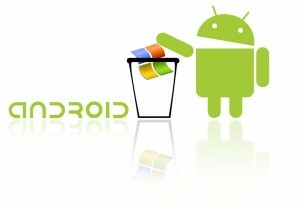 You will end up with Android as your computer’s operative system, totally replacing the Windows, Linux or even Mac operative system that -probably- came with it.